Today's "theme" over at BlogPaws is all about exercising your right to vote...in the 2015 BlogPaws Pet Blogger and Social Media Nose-to-Nose Awards, that is. 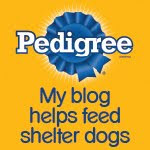 So hurry on over and nominate your favorite pet blogs in a plethora of categories—nominations are open through January 31, 2015! And let's not forget that January is also "Get Fit With Your Pet" Month. Let us know how you're ramping up you and your pooches' fitness levels! Meanwhile, back at the Ohio ranch, Parental Unit takes me for one long, or two shorter walks each day, plus has revved up my indoor play time, which I'm lovin'! Hey, Parental Unit, is it O.K. if I rest a bit with Tigger? 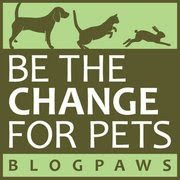 Now off to the BlogPaws Wordless Wednesday Pet Blogger Hop to let our fingers get some exercise, too. What a great friend one who plays and rests with you. Love those pics! 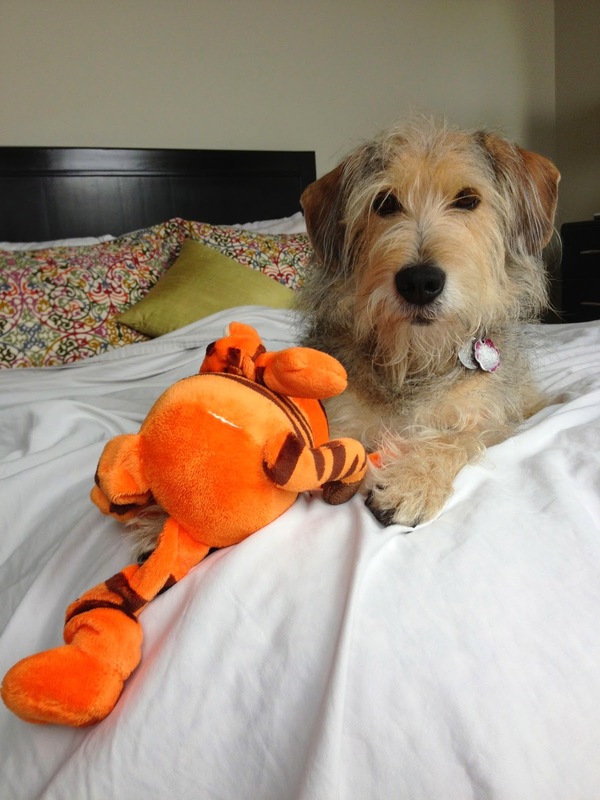 One of my dogs' favorite toys is a tiger -- not a Tigger specifically -- but a tiger. We agree and I have been doing plenty of that with my peeps and my dying bunny toy. Have a wonderful Wednesday. Is Tigger a "goner" yet? All my stuffies got deaded quickly. Looks like you're havin fun wif Tigger! Most times I don't de-stuff my toys-I've had Tigger for years and he looks brand new. Although just the other day I de-stuffed one of Bella's toys....oops! What an PAWdorable photo of you and Tigger! What great photos of you and Tigger, Bocci!